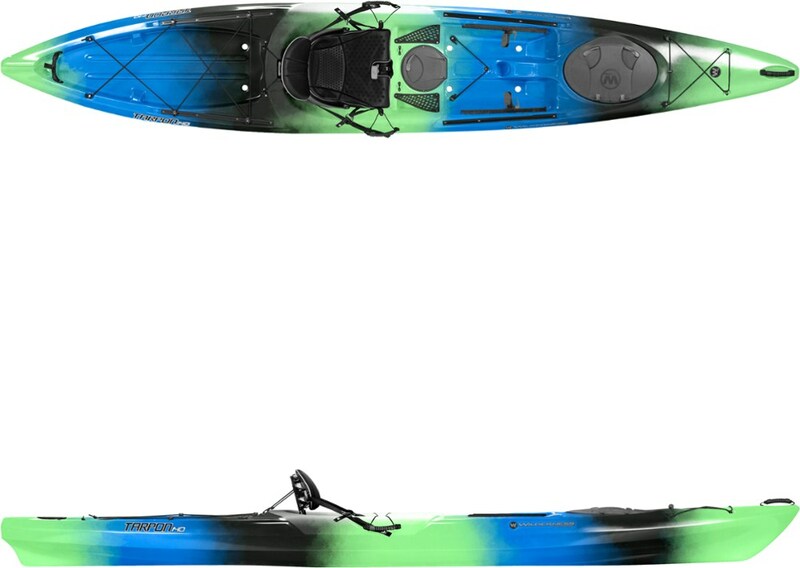 Feature-rich and visually striking, the Wilderness Systems Tarpon 135T tandem sit-on-top kayak is fast and nimble. It also boasts abundant storage, built-in cup holders and side carry handles. 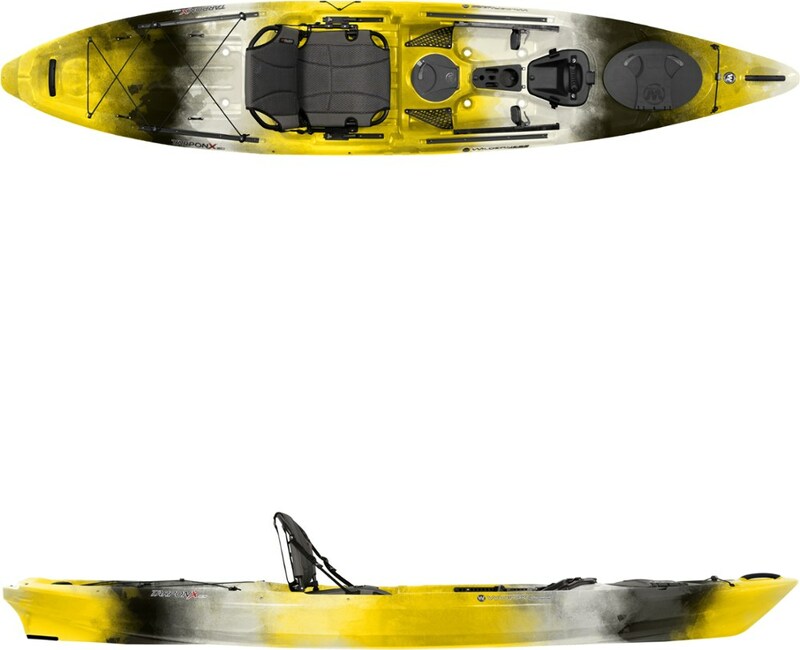 If wide-open waters, glassy lakes, and secret coves sound like your cup of tea, then saddle up the Wilderness Systems Tarpon 135T Sit-On-Top Kayak and paddle out to better waters. 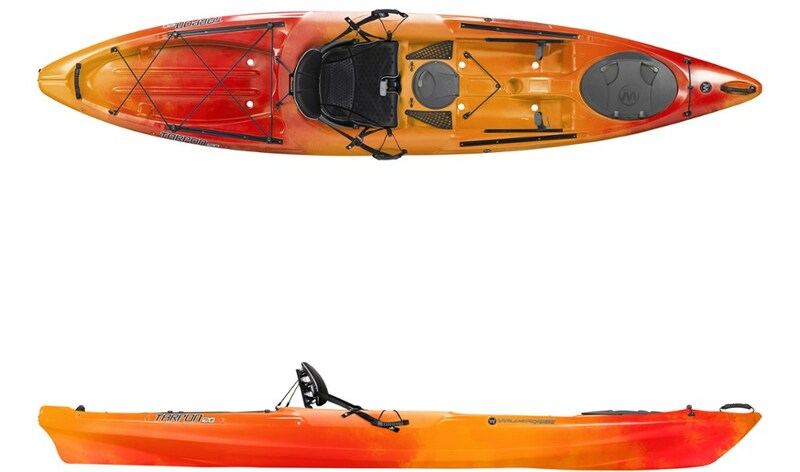 Fully rigged for a day out on the lake, the Tarpon 135T features a tandem sit-on-top design with comfortable, padded seats for all-day comfort during your longest paddling trips. 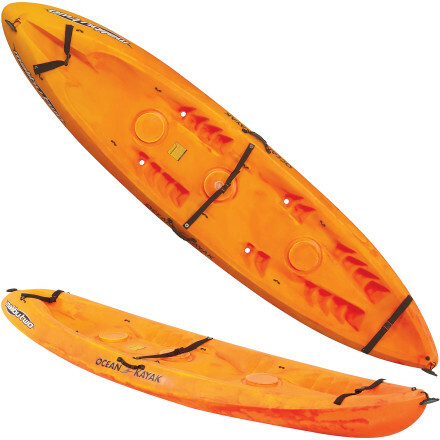 Large foot braces give your legs a place to rest when you're paddling through chop, and molded-in cup holders give your beverage a secure place to rest when you need both hands on your paddle to navigate rough waters. 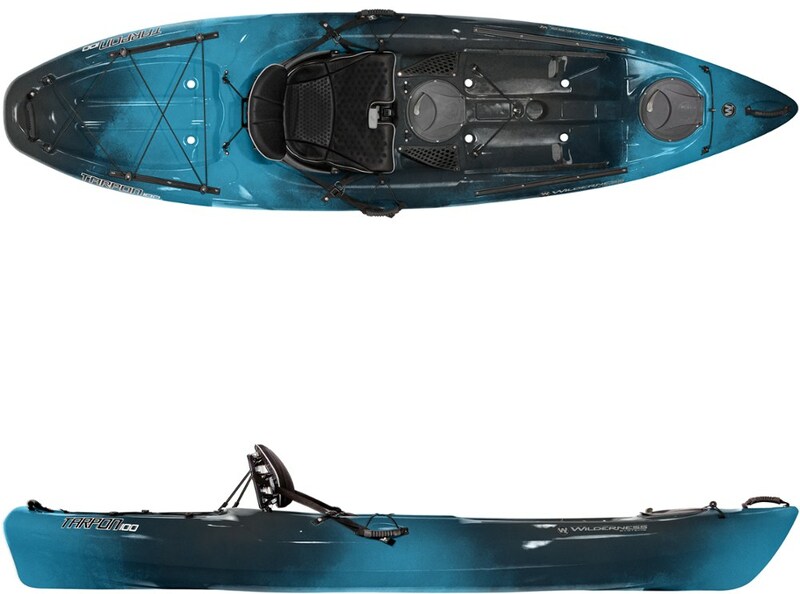 In terms of storage, the Tarpon 135T is fitted with two small hatches for both paddlers, giving each a place to store valuables in a secure and dry place. 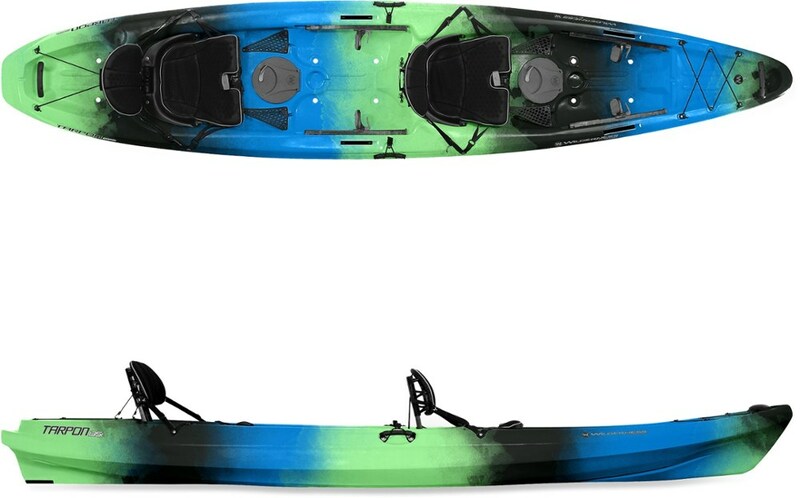 Large bow and stern tankwells will swallow all of your dry bags, rain jackets, and sunscreen when you're planning on being out for most of the day, and they are rigged with bungee straps to keep everything on board. 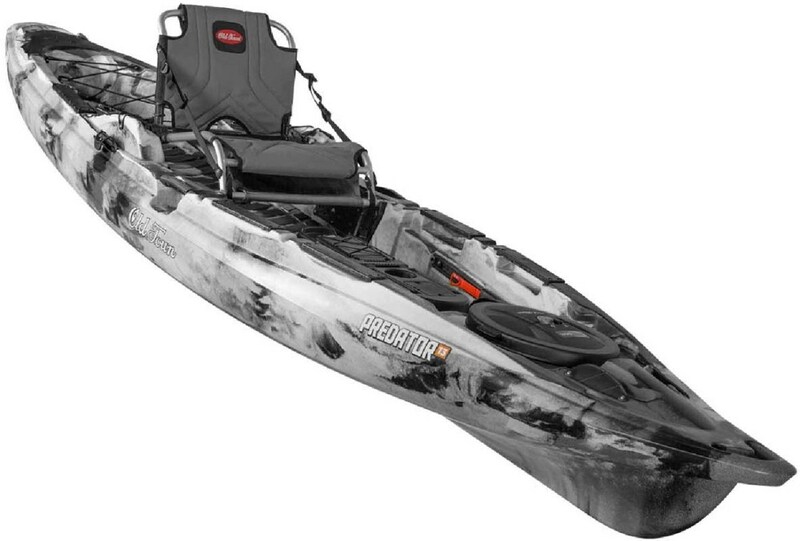 Wilderness Systems even threw in Slidetrax rails on the bow of the boat, which can be used to fit rod holders, if you're planning on doing any fishing from your post.